This story may not be true – but it could be. Chef Michel looked around his kitchen and reflected: “What an incredibly diverse group of people who are keeping this kitchen afloat.” The chef knows that what he sees is absolutely true for every other kitchen from coast to coast. When you look past the façade and start to dig just a little bit you see individuals who are just as complex as you, just as unique, just as troubled at times, and just as fulfilled at others. Andre his sous chef was originally from Montreal, Quebec. His father came from France in the early seventies as an architect. He met the woman who would become his wife while working in a small architectural firm across from McGill University in the city center. She was a barista in a coffee shop while studying psychology at McGill. Andre’s father patronized the coffee shop every morning hoping to catch her eye and start a conversation that might carry him through the day. They were married before she completed her studies and gave birth to Andre shortly after. As was the case with many parents – they had plans for their son, plans that did not include becoming a chef, but Andre grew to become independent and insisted that this was what he wanted to do. He worked as a commis at some great Montreal restaurants including Toque and eventually took two years to stagiere with some great chefs in France before arriving in the States and eventually finding his way to Chef Michel’s New York City hotel kitchen. Bruno had worked on the line of many New York restaurants since his late teenage years. He began, as many did, washing dishes after high school and quickly fell in love with the kitchen environment. Bruno had no desire to attend college and knew that his family could never afford to send him anyway. Besides, the kitchen seemed just right to him. Bruno’s brother had enlisted in the Marines when be turned 19 and was currently on his third deployment in Afghanistan. Bruno had always admired his brother and felt somewhat lost without his counsel. He hadn’t seen his brother for more than 9 months and constantly worried about his safety. To have some peace of mind Bruno immersed himself in work – always volunteering for extra shifts. When he was cranking out quality food in the kitchen he was able to feel complete and for that time able to put his brother in a safe spot in the back of his mind. Miguel and Rodrigues were brothers in spirit. They had both come from Southern Mexico – escaping the pressure to move to a life of crime in an effort to support themselves and their families in Mexico. They were poor back at home, but incredibly strong and respectful members of their extended families. They grew up together and had a dream of coming to the U.S. They both wanted to approach the process legally, but found it cumbersome and challenging, so they paid to cross the border and start their journey with illegal documents. Chef Michel took them at their word that their documents were legitimate, but in his heart he suspected that they weren’t. Miguel and Rodrigues were fantastic workers, always showing up on time and never complaining about their duties as dishwashers and occasional prep cooks. They made sure that cooks had plenty of peeled potatoes, onions, carrots, celery, garlic, chopped parsley and snipped herbs, as well as shucked oysters and clams used in the Hotel Bar. Everyone respected these two. Naomi was originally born in Nairobi, Africa to a family of privilege. Her father was a well-respected doctor who had received his medical degree from the University of Buffalo. He chose to return to his country and operate a clinic for those countrymen who could otherwise ill-afford quality medical care. His daughter was smart and progressive. He knew that she could never be satisfied with the typical life provided in Nairobi and worked his contacts to find a link in America for her to study the craft that she desired – Naomi truly wanted to become a world-class pastry chef. After many months of communication Naomi’s father made arrangements for her to attend the Culinary Institute of America. Naomi was now on her externship with Chef Michel. Jake was a tough kid. He grew up in Brooklyn, hated school, lived in a small 3rd floor apartment with his parents, and grew tired of a steady diet of odd jobs, a little shop lifting, and even a short stint in juvenile detention for helping to steal a car. His parents were frustrated with their son and his inability to get his life together. At the age of 17 he dropped out of school and took a job as an assistant breakfast cook in a neighborhood diner. The lead cook – Greta, was a tough as nails Greek woman who took it upon herself to straighten Jake out. She pushed him towards dependability and taught him how to become a pretty decent breakfast cook. After a few short months Jake was able to run a breakfast shift by himself – he loved it! Now 19, Jake had moved on to Chef Michel’s kitchen as a prep cook. For the first time he was given a real chef’s uniform – one with his name embroidered over the pocket. When he moved on Greta gave him his first French knife and with tears in her eyes – wished him well. Jake was learning more every day and felt, for the first time in his life, that he had a purpose and a future. Jana was probably Chef Michel’s most talented cook. At first she had a bit of a chip on her shoulder because she had already worked her way through a handful of restaurants where being a woman was not an advantage. She had put up with a load of crap from her male counterparts and as such grew a tough skin out of necessity. She put on a good face, but underneath felt abused and totally demeaned by other cooks bullying and sexual innuendo. It would be a few more years before this type of abuse would become totally unacceptable, but for now she was hoping that this new gig would be different. Chef Michel made a commitment a long time ago to never allow inappropriate conduct of this type in his kitchen and told Jana that things would be different. So far, the chef had lived up to the promise and Jana was really starting to come into her own as a terrific line cook. Chef Michel saw in her – his next sous chef. Jamal was a young black kid from the Bronx. He was smart and determined. Too many of his friends had taken a wrong turn in life, joined gangs, got mixed up with drugs and scrapes with the law. His cousin, at the age of 15 was shot outside of his family apartment and was left with numerous physical and emotional challenges as a result. Jamal wanted to be successful and needed a chance to get out of the hostile environment that surrounded him. He had attended a Vocational Program in the Bronx that specialized in cooking and as a result found a job working in Chef Michel’s kitchen. The chef took an instant liking to Jamal and started him working prep until last month when he moved an excited young aspiring cook up to the line on the fry station. Jamal was determined to learn and excel – he saw this as his way out. Maria was a single mom who lived with her mother and seven year old son in a small Brooklyn apartment. Maria had two jobs – breakfast cook in Chef Michel’s kitchen and evening line cook at a restaurant called “Prune” in Brooklyn. She walked two miles to work in Chef Michel’s kitchen each day. She was, in Chef Michel’s mind, one of the best breakfast cooks he had ever worked with. She always arrived on time, her mise en place was impeccable, and the quality of her cooking was only surpassed by her speed. Along with another extern from culinary school she could easily prepare the 150-200 breakfasts every morning. Maria’s mom took care of her son who rarely saw his mom – she never complained but the chef knew it tore her up to be the absent mother. There were numerous others including Hispanic and Ecuadorian cooks and dishwashers, and a very diverse group in the dining room including Russian and Jamaican servers who were exceptional at their craft. This was a melting pot environment that only required a few important traits – the desire to work hard, be dependable, function as a team, and exhibit a passion for food. 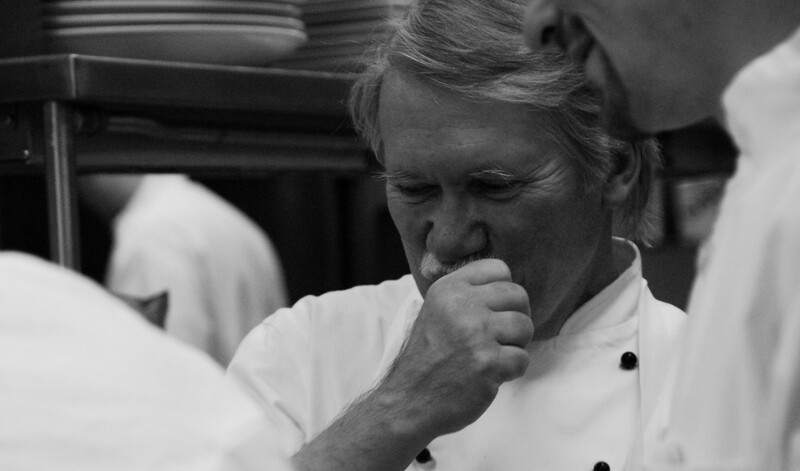 Chef Michel looked around the operation for a few more moments and realized that although each person had a unique story, they all were able to come together as one cohesive unit – a team committed to doing a great job and support each other in the process. They laughed, they high-fived, pushed each other when necessary and always jumped in to assist when someone was in the weeds. Chef Michel smiled knowing that in a kitchen everyone was different, yet everyone was the same in their desire to perform well. This is why he loved the kitchen so much – knowing that everyone has a connection regardless of the unique history that follows him or her. I want to thank my friend Jeff Wager for sharing a word unknown to me at first: “Sonder” – the inspiration for this article. The kitchen is the great equalizer where everybody has a purpose and everyone can be a part of something great.